Regina has six retail cannabis locations but with less than a week to legalization day - it's not clear if any will be ready in time. 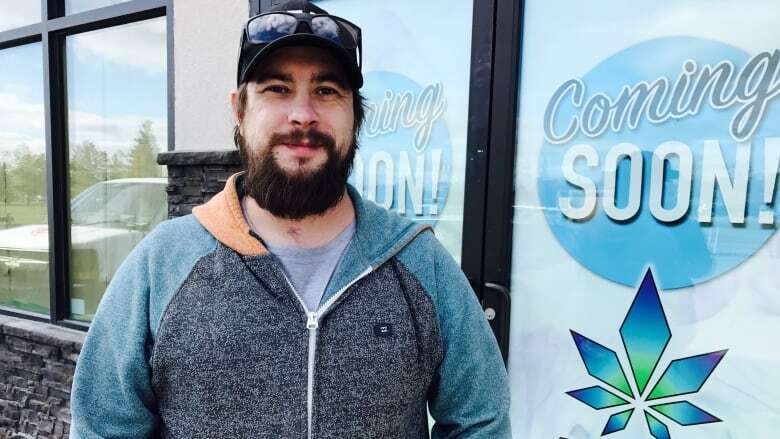 Six cannabis retailers have permits to operate in Regina, but with less than a week to legalization day, it is not clear if any will be ready to open in time. CBC has received confirmation from three businesses that their doors won't be open by next Wednesday. The owners of the other locations could not be reached for comment. Danny Uhersky is one of the owners of Wiid Boutique in south Regina. He said he is aware of only a handful of the province's 51 retail stores that will be open by Oct. 17, when recreational pot becomes legal across Canada. "I know of at least four [in Saskatchewan]. I hope that there's at least one in the city to serve everyone. I don't think we're going to quite make it but we'll be very shortly after," Uhersky said. "It's all dependent on our final permits and inspections which are things that are out of our hands." Wiid Boutique is a family affair for Uhersky. He's a partner in the business with his brother, sister, mother, aunt and uncle. "It's been great. I'm actually amazed at how well we're getting along together. When we do fight, it's probably warranted," he said. The adjustment to changing and new policies, coupled with starting a business, has been a big effort, Uhersky said. "It's been very exciting but very tiring. Plenty of sleepless nights. It's always on your mind. You're always doing research and you're constantly building," he said. Once up and running, Wiid Boutique will offer sales in store, online and eventually through a delivery service. The Saskatchewan Liquor and Gaming Authority (SLGA) says it expects one-third of the 51 locations could be ready for legalization day. "We know that not everyone will be ready on Oct. 17. We suspect they will be ready as soon as possible," said SLGA spokesperson David Morris. Federally licensed producers can ship and retailers can receive shipments prior to Oct. 17, with the authorization of SLGA. "The permits for cannabis retailers and wholesalers will be issued on Oct. 17. They can't be issued until legalization occurs," Morris said. In Saskatchewan, the licensed retailers will be allowed to sell their products online, provided their storefront is open and operational. CBC was able to confirm that two more retail stores will not be open by next Wednesday. The Avana store at 1846 Scarth St. won't be open. "We are still in the process of solidifying some key partnerships, so we do not plan to rush the process for Oct. 17," said Avana spokesperson Emily Ondercin-Bourne. Neither will the store run by Lucid Cannabis at 681 Albert St.
"We have now received a development permit from the City of Regina but we have not yet received final SLGA approval for the location. We expect to be in a position to move forward with store construction in the coming weeks but unfortunately we will not be open for Oct. 17," said Lucid Cannabis president Mike Podmoroff in an emailed statement. CBC did not receive a comment from the permit holders of the remaining three locations. Those stores are on the 1500 block of Albert Street, the 2800 block of Quance Street and the 1300 block of Broad Street.